Flea allergies, or flea allergy dermatitis, used to be one of the most common dog allergies. However, with more flea control products available to dog parents, the incidence of flea allergy dermatitis has decreased substantially. Flea allergy dermatitis is caused by flea saliva, which contains a number of chemicals that can trigger an allergic reaction in pets. In dogs, there are two types of reactions to flea saliva. The first one is an immediate Type-I hypersensitivity which causes itchiness immediately after the flea bites. 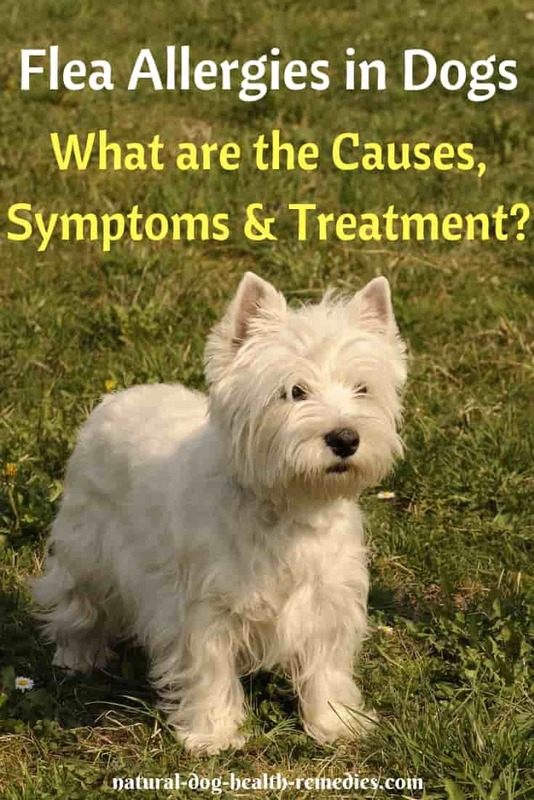 The second one is a delayed-type hypersensitivity that can occur several days after the bites and long after the dog has sought out and killed the fleas by chewing at them. That is why many dog parents cannot find any fleas on their dogs despite their dogs have severe and persistent itching. It is important to remember that a high percentage of dogs with canine atopy also have flea allergy dermatitis. Dogs with flea allergy dermatitis usually have intense and severe itching. Very often, they chew the back half of their bodies often almost hairless. Suspect flea allergies if you see lesions that are mostly confined to the lower back, back and the inside of the thighs, stomach, and flank areas. The lesions are usually small red bumps that may be crusted. As mentioned above, dogs with flea allergy dermatitis also tend to have atopic dermatitis. Therefore, they may also show other symptoms associated with atopy. You may or may not find fleas on a dog suffering from flea allergy dermatitis. If a dog has delayed-type hypersensitivity, the flea(s) causing the allergic reactions may already have been sought out and chewed off by the dog. But flea excrement or flea "dirt" on the dog's body may still remain on the dog's body. If you suspect your dog has flea allergy dermatitis, therefore, do not wash your dog for 3 to 7 days before visiting your veterinarian for a diagnosis. If you do, you may wash away all the flea "dirt", making diagnosis a bit more difficult. You can try to find traces of flea excrement on your dog body. Look for something like flecks of black pepper on your dog's skin. Use a comb to remove some such "black pepper" flecks and put them on a sheet of white paper towel. Add a drop of water to each fleck. If the flecks are just dirt, nothing will happen. But if the flecks are flea excrement, they will turn red in about 60 seconds because they contain dried blood and will be rehydrated by water. If flea excrement is not found on the dog's body, an intradermal skin test can be done. The veterinarian will inject a small amount of flea allergen into your dog's skin to see if there is a positive response. 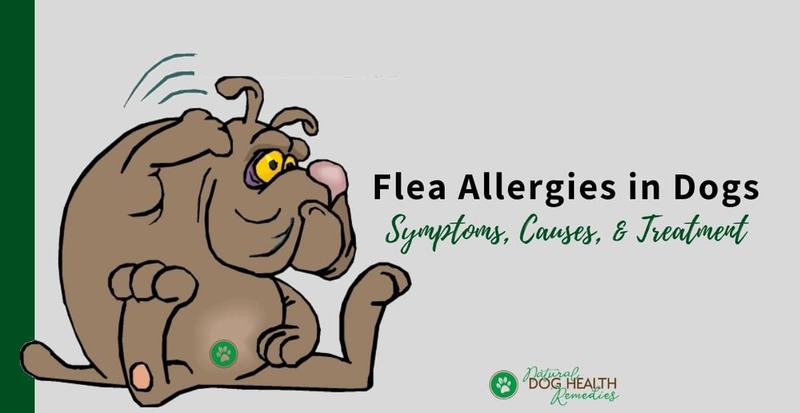 Note also that even if you cannot find any adult fleas on the dog, it does not necessarily mean that the environment is totally free of fleas in other life stages. In fact, about 99% of the flea lifecycle exists off the dog's body! It means that at some future point fleas in the environment can infest and affect your dog again. Flea control is of the utmost importance if your dog has flea allergy dermatitis. There are natural and safer ways to eliminate fleas in our living environment. Please visit our page on Natural Flea Control for more information. 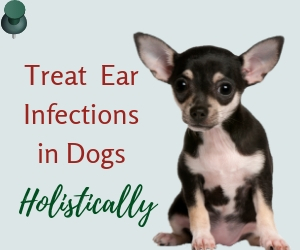 To alleviate the intense itching caused by fleabites, your vet may prescribe medications such as antihistamines or even corticosteroids like Prednisone. While these medications may help relieve itching, they can, as you know, cause rather nasty side-effects. In particular, long-term use of corticosteroids can wreak havoc to a dog's body. As much as possible, opt for natural remedies which are usually milder and safer. Natural home remedies such as herbs, supplements, etc. can be used to alleviate flea allergy symptoms in dogs and boost the dog's immune system. Be sure to check out our page on Natural Dog Allergy Relief for more information.